Team Bath's award-winning international netballer is among the students to be honoured at the 2016 summer graduations. England and Team Bath netballer Shaunagh Craig graduates with a BSc (Hons) Sport (Sports Performance) on Tuesday 28 June. During her time studying at Bath Shaunagh won a Netball Superleague championship with Team Bath, competed for England Netball and was supported by the University to take a year out from her degree to work as a Performance Pathway Coach for England Netball in the south west. In 2015 she was voted Supporter’s Player of the Year by Team Bath fans. She received the Endeavour Award in the same season, recognising her hard work to return to the side after a series of injury battles. 'My time at Bath has absolutely been the best four years of my life. I want to say a massive thank you for all the support I’ve received to all the departments I’ve been involved with. 'I’ve been able to do so much more than just study. I’ve competed for England at netball as well as Team Bath, and my degree allowed me to do both at the same time. 'I also took a year out and worked full time after I was offered a job with England Netball, and the level of support from the University to work in the sport has been pretty amazing, especially from Nick Willsmer, Director of Studies for Sport. 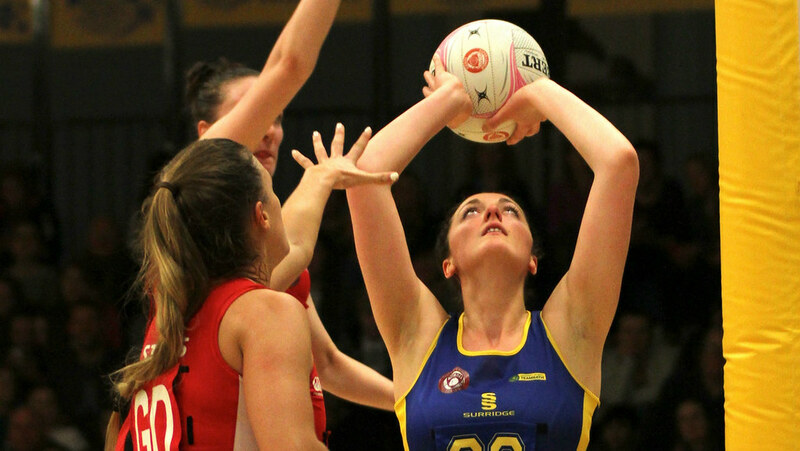 Despite enjoying a series of successes on and off the netball court, Shaunagh had to fight to return to the court after some serious injuries, including a broken ankle. She credited the family atmosphere at Bath with helping her to continue to feel a sense of belonging and make her rehabilitation easier. 'At times it’s been quite tough,' she said. 'I got selected for the netball World Cup and then got injured two days before we were due to fly out. Team Bath stepped up and were so supportive of me. After finishing her studies Shaunagh has returned to coaching young players with England Netball, before a planned move to New Zealand later this year. She’s predicting a bright future for Team Bath and Superleague netball, believing the sport and league will continue to grow in popularity. 'Shaunagh has been a great ambassador for Team Bath Netball and the University of Bath during her time here. Fitting in training, playing, coaching and studying is no mean feat but Shaunagh has always shown a tremendous determination to succeed, no matter what challenge she sets herself. 'That was never more evident than in the way she fought back from a succession of serious injuries to reclaim her place in Team Bath’s Superleague squad.